Visuals and Sonics by Jason Steidman. ThatWas is a live projection and sound installation that combines sound with “live projections”: a form of light-based performance with an established history of its own that curator Robert R. Riley once described as a “fugitive art form“. A bank of several overhead projectors is used to provide visuals with a variety of media, including prepared acetates, liquids, etc., allowing a fluidity that finds the appearance of this installation morphing and evolving during its course. The relationship between colour and sound is metaphorically inherent in the North Indian concept of “raga“. The exploration of this relationship has been at the forefront of lightsweetcrude’s concerns since this project’s earliest musical performances, nearly 5 years ago, accompanied by an array of overhead projectors loaded with psychedelic transparencies, and brilliant liquids, providing a spectrum of background colour. This installation explores the concept of nostalgia through liquid projections, abstract shapes, images, and sound. Nostalgia is a central part of the human experience. The origin of the word implies homesickness, and was considered an actual illness in the past. It can also be euphoric, often triggered unexpectedly, transporting us for a moment with a fleeting feeling that gives us the essence of a certain time in our lives. Some scientific thought holds nostalgia to be an effective survival mechanism and form of escape that is turned to in desperate times. *In The Soil Fest, St. Catharines, Ontario on April 30th, 2016 with Michael Kaler, bass. 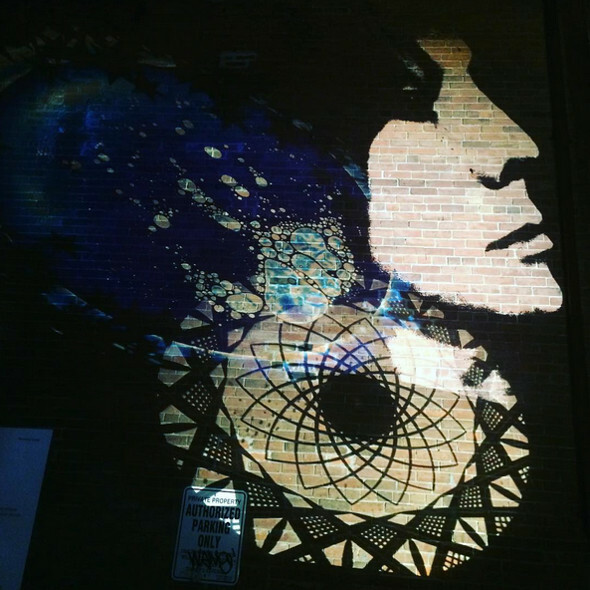 via @BlogTO’s post “Your photos of Nuit Blanche Toronto 2015” Photo by @ilenesova1975.